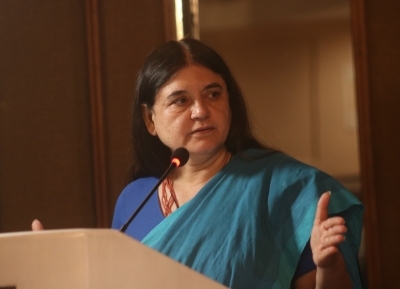 New Delhi July 12 (IANS) Union Women and Child Development Minister Maneka Gandhi on Tuesday alleged that the Karnataka government was "totally ignoring women safety" which was evident from the rising instances of harassment. "I am worried about how the Karnataka government is totally ignoring women safety in the city. Chief Minister H.D. Kumaraswamy should pay attention to this critical issue " Gandhi tweeted. On Tuesday a woman who was travelling via Uber was threatened by the driver for not heeding his plea to cancel the trip. In the last one month there have been two more cases where women passengers had faced harassment while travelling with taxi aggregators in Bengaluru. "This is the third case of harassment of a woman passenger by a cab driver in Bengaluru in less than a month. My directions to the Bengaluru Police Commissioner to invoke criminal liability of cab aggregators like Olacabs and Uber has had no effect " she wrote. Expressing her concerns over women safety Maneka Gandhi had earlier written to Transport Minister Nitin Gadkari and urged him to ensure that cab companies adhere to all safety guidelines.